Description: Description of the plugin. The Anti-Spam plugin only show ad banner in the admin section. You can close it and you will not see it again. Plugin does not do any redirection at all. All my comments are being blocked and considered by the plugin as spam. Why is this happening and I can I access those blocked comments? All blocked comments should be in admin section => Comments => Spam. It is hard to tell what is wrong because the plugin is not active on your website anymore. 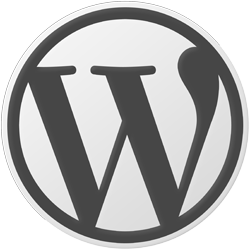 whether it can increase our web loading speed by using WordPress Speedup plugin ?? Yes, you can increase the site loading speed with Silver Bullet Pro plugin. Is there a way that I could have the list horizontal rather than vertical? Hi, I installed your iframe plugin to show a page to my customers and it works perfectly. Now I have to add a another plug where the visitors can pdf that page and e-mail it to their mail. For that I have installed another plugin and it as short code. How can I embed the pdf short inside the iframe. Hi, I installed iframe plugin on my wordpress site, the latest version of wordpress, but it doesn't work at all. Can you share the URL of the page with the issue? And can you share the shortcode you are trying to use and what you get instead? Hello, l am facing a huge spam problems to many of my websites, so l had just installed your plugin anti spam to stop spam. Your spam blocker works very well. I was getting >100 spams per day and now, none for 36 hours. I installed the current free version of your plugin. I am running an serverside aspx file in the iframe that is located on my site. I have the height set to 'auto', however the page is not expanding but the scrollbars show up and the page is all there. Is this expected behavior for the free version that the page will not expand? The height="auto" does not work properly. You need to setup specific height. But I'm creating a dynamic datagrid. There's no way to know height until its created. Thus the 'auto' setting. If I set min-height to a static number will the height adjust beyond that automatically? Iframe plugin does not have auto-adjust height feature. Automatic scrollbar can help you here if the embedded content will be higher than the iframe itself. Fantastic plugin! Thank you! Quick question: How do I remove the white and grey rows from the background? Can you provide more details? Which plugin? And what is the URL with the issue?